Are You Over Moisturizing Your Hair? When you begin learning how to care for natural hair, a word you will hear often is moisture. It’s true that you must moisturize your hair to keep it healthy. This is especially true for those with curly or textured hair because the curls and waves of the hair make it more difficult for that natural oil your scalp produces to travel to the ends of your hair. 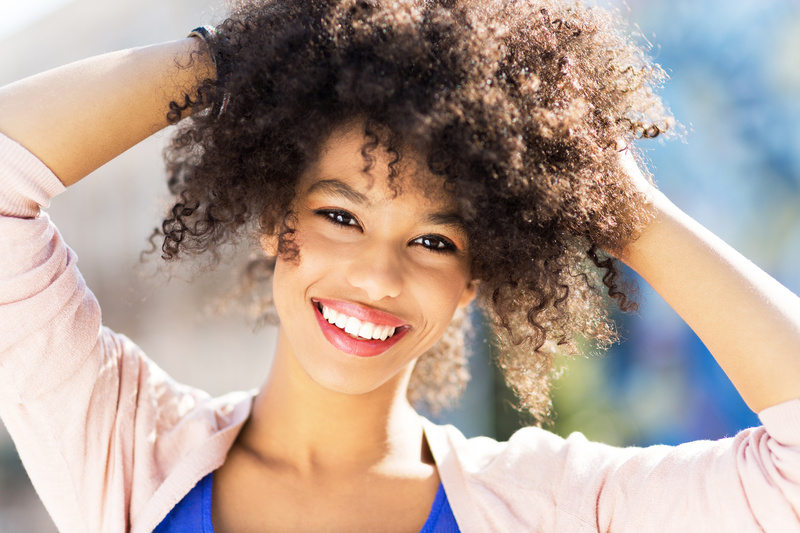 While it is important to consistently moisturize your hair, it is important to note that it is possible to overdo it. Over moisturizing your hair can make your strands just as weak and prone to breakage as dry hair. Dry hair usually looks and feels; dull, straw-like and easily breaks when pulled or combed. Over-moisturized hair tends to look limp, oily, damp and mushy. It’s important to always be conscious of your hairs’ condition. Everyone’s hair is different. If your hair feels dry every day, then by all means, moisturize daily. However, there are some people who can go days before re-moisturizing, because their hair doesn’t feel dry on a daily basis. If your hair doesn’t feel dry, leave it alone. Or, as they say, ‘if it ain’t broke, don’t fix it’. One way to figure out how often you should moisturize is by testing your hair porosity to get an understanding of how your hair absorbs and retains moisture. I have low porosity hair: This means that my hair cuticles are closed tightly, and it makes it harder for moisture to get in. Products and moisture will sit on top of my hair instead of being absorbed. I always wondered why my hair took 24-48 hours to completely dry. Knowing my porosity level, I limit moisturizing to only 1-2 times a week. I do continue to stay conscious of my hair, so when the weather or my environment changes in some way, I can moisturize more or less often. High porosity: If you have high porosity hair, you will need to moisturize more often and layer on thicker products to seal the moisture in. Use products as recommended: If a product calls for using a dime size amount, don’t throw half the bottle on your hair. Also, when deep conditioning, try to stick with the length of time the directions call for. It is important to moisturize all of your hair from root to tip. The ends of the hair are usually the driest because it’s the oldest part of your hair and natural oils can’t reach it. How often do you moisturize your hair? Posted on May 26, 2015, in Natural Hair and tagged dry hair, hair moisture, hair porosity, Natural Hair, protein moisture balance. Bookmark the permalink. Leave a comment.